I was invited for a day of pampering to celebrate Mother's Day a couple weeks ago at BlueWater Day Spa. We were allowed to choose between 3 services: a cellulite melter massage, a variety of body scrubs or a traditional Filipino hilot. I have been trying to find a good "hilot" to hire for the longest time so I decided to give theirs a try. 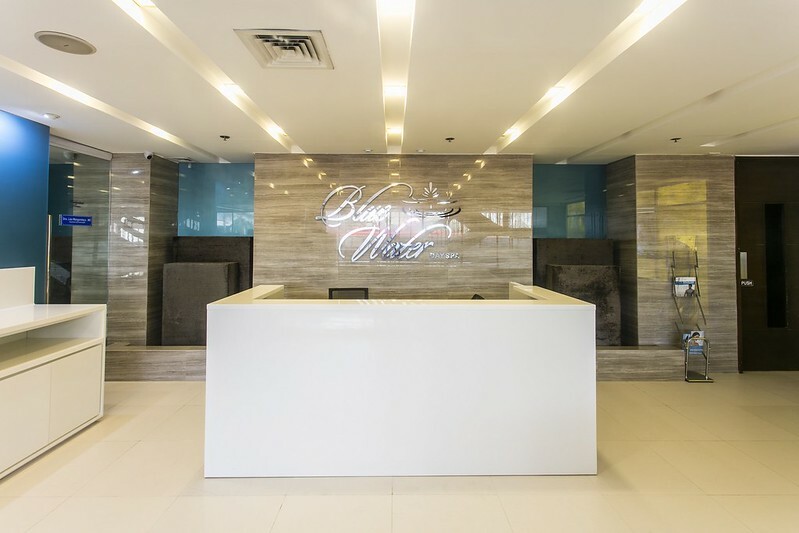 BlueWater Day Spa is located along Ortigas Ave, less than a block away from Unimart. Their space is vast (they occupy an entire floor of the building) and they are equipped with all the facilities you would expect from a proper day spa. Below is their reception area. This is also where you book your preferred service. 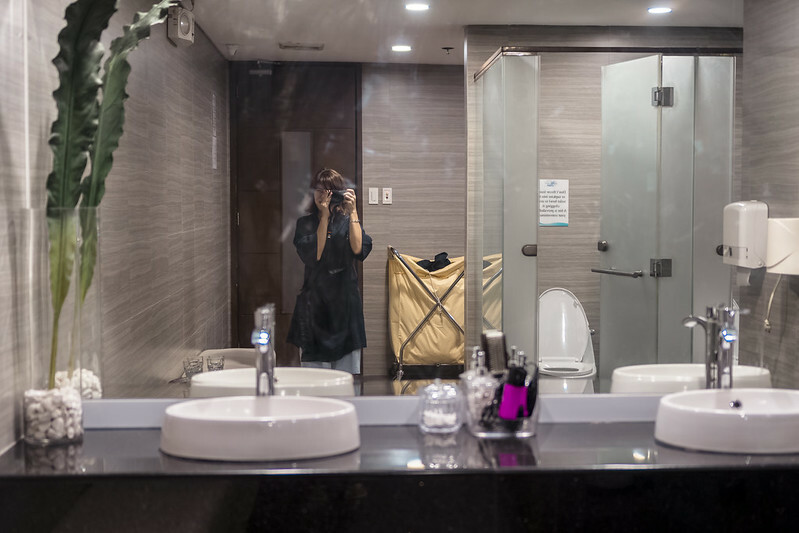 Once you've decided on a treatment, you will be escorted to the locker room where you will be assigned a personal locker that contains a kimono and a pair of slippers that you need to change into before getting a massage. The place is clean and well stocked with fresh, complimentary toiletries. 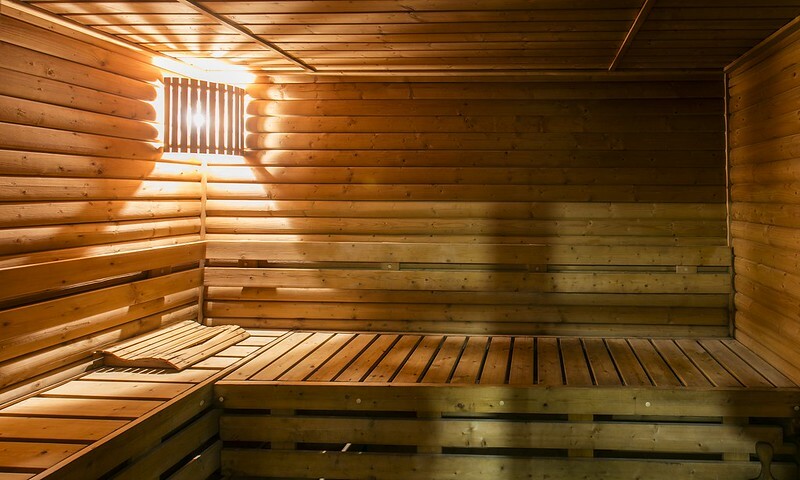 They also have a sauna which I like. Getting some steam really perks me up and makes me feel cleaner afterwards. The last hilot I had was at Manila Hotel which I extremely enjoyed. I was put in a lavish private room and my masseuse really knew what she was doing. Here at Bluewater, I was assigned to a communal room which had about 8-10 beds. I'm not really a fan of room sharing during massages but the fact that it was lit very dim helped better the situation. My massage lasted about an hour and a half. The first part concentrated mostly on my back with long and slow movements which I found really soothing. I especially enjoyed the extra length of time spent on it since I suffer from a lot of back pain. I also like how gentle she was with the way she removed "the lamig" from my back. Halfway into the treatment, my masseuse left to fetch a heat bag that was then placed on my back while she massaged other areas of my body. To cut the long story short, I really enjoyed my hilot experience. I really did not appreciate the amount of time we spent waiting. After changing into your kimono, you're supposed to ring a bell to alert the staff that you're ready to be escorted into the room for your treatment. We rang that bell more than 5 times with several minute intervals and still nobody came to assist us. My friend had to leave the locker room in her robe to inform one of the many attendants who were just sitting around the staff room that we have been ready to transfer for more than 20 minutes already. Second time I had to wait longer than necessary was when my masseuse left to pick up a heat pack in the middle of our massage. Judging from my guestimate, it probably took her 10-15 minutes to fetch that heat pack. I hate waiting in unfamiliar places for uncertain periods of time. I hate it even more when I'm vulnerable because I'm naked and "blindfolded". It gets me paranoid and claustrophobic. I don't understand why it took her that long. Seriously. The massage was good enough to make up for the long wait in the locker room, and then she had me wait again which levelled things out for me once again. I do hope this is an isolated incident because if not, it's such a waste. The place is nice, very professional, their technique is also good. It's just the looong wait really. You're in a spa, you want zen, you want to be pampered but then when you're made to wait for an unreasonably long time, it just bursts my wellness bubble. But bottomline. their massage was really good. In fairness. I agree lol. There was a room full of therapists at the end of the hall ewan ko na lang bakit walang pumupunta sa atin.